I’m a self confessed Apple junkie. I’ve well and truly bought into their eco-system. Back in late 2016 I added to my collection, the newly released Apple Watch Series 2. I realise I’m late to the party with this review since not only has it been replaced by the Series 3, but that’s been replaced by the Series 4! Having said all that, I have now had 2 years experience with the concept of ‘wearable tech’, so as much as this will be review of the Apple Watch, I’m also going to talk about how I feel about smart watches in general. 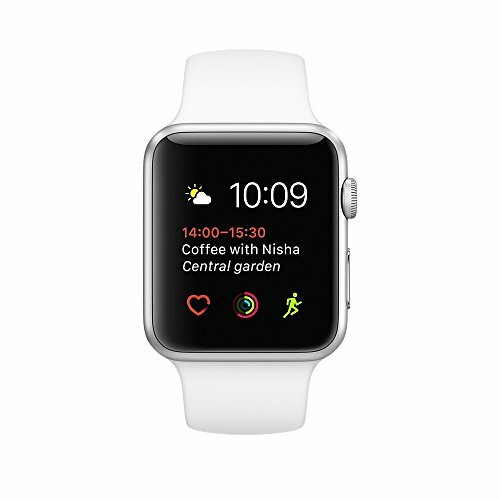 My first real life experience with an Apple Watch was shortly after the initial launch of the 1st generation model. I was at an event and was chatting to a tech reviewer. I asked his opinion and if I could take a look, his response was that it was great, but it has run out of battery and he was yet to have it last a full day. This obviously completely put me off and I didn’t give the Apple Watch another thought. Then the Series 2 was launched, and many of the things I had issues with, seemed to be resolved, so I bit the bullet. Now I should stress that the Apple Watch is a complete luxury. No one needs one. I didn’t need one. But I wanted one, and sometimes you just have to do what you want right? 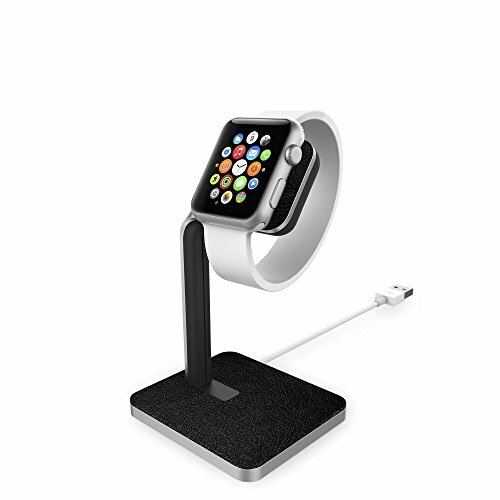 When I first got my Apple Watch, I was like a kid at Christmas. It was a couple of days before I headed off to Greece for the launch of the Olympus PEN E-PL8, and I spent far too much time making watch faces ahead of the trip than I should have! There was a moment of frustration at the airport, however, when I tried to use it as my boarding pass through the British Airways app. Turns out the hardware at the gate wasn’t designed to fit a watch on a wrist, so I had to quickly fumble for my phone to bring it up and scan it, to the amusement of Lydia Millen and Emma Hill! The thing that I loved initially, was that I could have my calendar entries displayed with notifications, enabling to know exactly when and where I was supposed to be doing something. This proved invaluable on a couple of press trips I was on that were rather hectic! It was also great for having phone notifications pop up with a little tap on the wrist. This meant I wasn’t continually looking at my phone, which saved a load of phone battery over the course of the day! When I first got my Apple Watch, I was still convinced that running was the best way for me to lose weight, and really enjoyed the Nike Running app, especially with the little overlay maps and shareable screenshots you can do. It’s great for motivation! Because most of weight loss is governed by nutrition, the calorie tracking was super useful, and really helped me to make sure I was in a deficit. Additionally, the breathe app got me a bit more interested in mindfulness and wellbeing. I still haven’t really got as far as full blown meditation, but I do often use the breathe app when I’m on the tube in rush hour, or on plane journeys, just to zone out and find a place of calmness. The great thing about being fully invested in the Apple eco-system is that everything works seamlessly, but I also love that the Apple Watch works in isolation. If I’m out all day and don’t have a battery pack, my iPhone will undoubtedly run out of power. Usually it’s at the end of the night and I’ll find myself wanting music. Well the Apple Watch stores music and had bluetooth, so I can just connect my wireless headphones and still be entertained all the way home, even with a dead iPhone. On the subject of dead things, I did have a slight accident whilst changing a watch strap and dropped my Apple Watch on my tiled floor. It all still works, but I’m pretty sure the water resistance might have been compromised. I took it to the Apple Store and given the cost of repair and turnaround at that point in time, I ended up doing the rather silly and totally not cost effective thing of buying a new one, although rather than silver and white, I opted for the space grey and black version. So it’s fair to say I’m a big fan of the Apple Watch Series 2, and in wearable smart tech in general. There are so many things that I’ve found super useful and possibly have come to rely on to a certain extent. With that being said, however, in recent months I’ve actually been forcing myself to take a step back a bit. The data is amazing for tracking progress, but it’s the effort that’s the important part, not the data itself. So to that end, some days I purposely don’t wear my Apple Watch. I think it’s important to disconnect from modern life a bit and just live life rather than worry about numbers and what they might represent. I’m also a little annoyed with myself that I feel compelled to wear it every day over a normal watch, purely because of aesthetic. 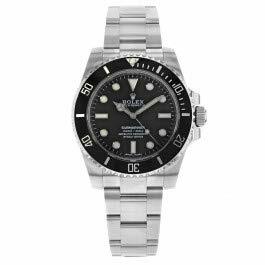 I still dream of owning a Rolex Submariner like Steve McQueen. I do have a few nice watches, and if I’m at a formal event, I’ll always opt for a dress watch over the Apple Watch, but as an every day item, the Series 2 is what I reach for. Apple recently announced the Apple Watch Series 4, and it’s marked improvement over the Series 3, which wasn’t too different from my own Series 2. 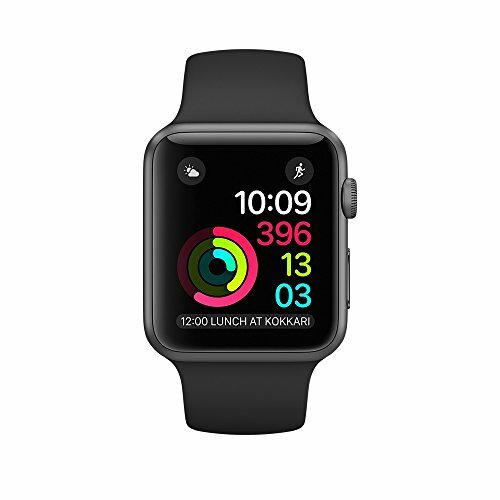 If I didn’t already own an Apple Watch, I’d definitely be considering it, but the improvements aren’t quite enough to justify the price tag in my opinion. With WatchOS 5 being released earlier this week, there are a raft of new features for me to enjoy at no cost. I really like the pulsing breathe watch face right now, and much like on iOS 12 on the iPhone and iPad, the grouped notifications are amazing! Like I said at the beginning of this blog post, the Apple Watch, or indeed any kind of wearable tech, is all a luxury and a nice to have. No one needs any of this stuff. We existed long before it was even conceived, and the vast majority of people exist without it quite happily. I do love my Apple Watch, and definitely don’t have any semblance of buyers remorse, however, like with all modern technology, it’s important to make sure I’m using it, rather than the other way around.